Journalists are blaming the impact of Leveson for a police refusal to confirm the identity of the latest high-profile suspect questioned in relation to the Jimmy Savile child abuse investigation. 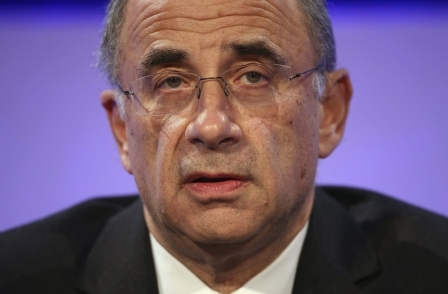 In last Thursday’s report Lord Justice Leveson called for the term “off-the-record briefing” to be scrapped and for senior ranking officers to record all contact with journalists. The judge also recommended that it should be made “abundantly clear” that the names of people who have been arrested should not be released to the press “save in exceptional and clearly identified circumstances”. The Met Police announced on Thursday that they were questioning a man in his 80s under caution as part of Operation Yewtree but refused to confirm his identity to journalists on an off-the-record basis. “The Met just won’t give you any guidance,” one reporter told Press Gazette. “They say there’s no such thing as off-the-record anymore. The reporter added that a “really horrendous mistake” could be made if the police continued refusing to provide guidance to reporters in sensitive cases. The Sun reported on Saturday that newspapers in Britain “were still unable to identify the entertainer because police refused to give clear guidance — on or off the record — in the wake of the Leveson Report into the press”. It added: “The Met Police announced on Thursday they had interviewed a man in his 80s under caution as part of the wider Operation Yewtree probe. He described the internet as an “ethical vacuum” that “does not claim to operate by express ethical standards, so bloggers and others may, if they choose, act with impunity”. Conservative MP Douglas Carswell told The Sunday Times (£) that Leveson was “advocating a sort of 1950s-type analogue regulatory regime in a digital 21st-century world”. Culture committee chair John Whittingdale said that with more people turning to the internet for their news it “seems strange to respond by designing a system which does very little to address new media”. Commenting on recommendations to scrap the term 'off-the-record briefing', the journalist Mick Hume – author of There is no such as a free press – wrote in the Mail on Sunday: “The proposals, influenced by police chiefs, are supposed to increase ‘transparency’. Yet they are likely to leave the public more in the dark about what the police are doing. Off-the-record briefings are a key tool for both reporters and the police. And on the proposals that the names of those who are arrested or suspected of a crime should not be released to the press or the public, he added. “No doubt part of the intention here is to prevent a repeat of what happened to Christopher Jefferies, landlord of murdered Joanna Yeates, who was monstered by newspapers when arrested. Ed Stearns, the Met’s assistant director of public affairs and chief press officer, told Press Gazette: “I don’t think there’s any difference to other Yewtree operations, or any other high-profile operations. “We have clear guidelines from ACPO that you don’t name those who have arrested but do name if they are charged. Stearns suggested that the recent controversy surrounding the naming of Lord McAlpine on Twitter could also have a bearing on why newspapers have so far decided not to reveal the latest suspect in the Savile operation. And Stearns, who worked at the Daily Mail between 1999 and 2006, described off-the-record as a “grey area”, of which there is “general confusion” among journalists. 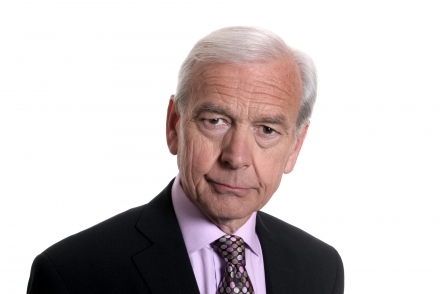 He believes Leveson’s recommendation to stop the term being used is an attempt to clear the issue up. “The term ’off-the-record’ means different things to different people and for that reason many press officers think it should be avoided. “What Nick Davies described as ’sanctioned’ off-the-record briefing by press officers is probably reference to what DPA press officers classify as ’not for publication’ guidance. “This is usually used when we want to assist journalists in understanding what lies behind the information that is being issued. “An example would be when someone is charged with a serious offence and is due to appear in court. Here is a link to the ACPO guidelines mentioned by Stearns (from 4.1 onwards).